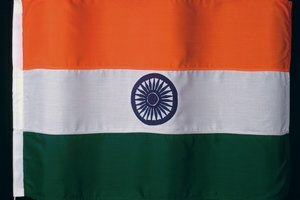 How Did Buddhism Begin to Spread Outside of India During the Mauryan Empire? 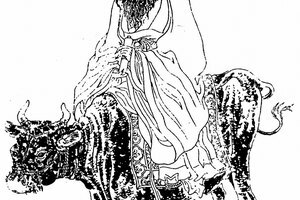 What Do Taoists Believe About the Afterlife? 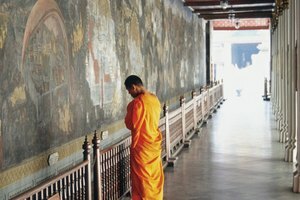 What Is the Collection of Ancient Scriptures Used by Theravada Buddhists? Unlike other Buddhist streams, Theravada practitioners are all monks. Of the three major streams of Buddhism, Theravada is the one that most closely follows the teachings of the historical Buddha and the practices established by the community of disciples that surrounded him. After the Buddha passed into Nirvana, his disciples gathered at Rajagaha, where they established an oral tradition of his teachings and the practices to be followed by Buddhist monks. This tradition was written down centuries later and forms the basis for Theravada. 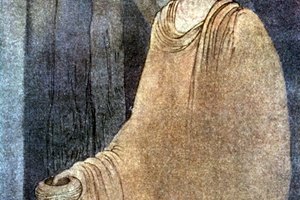 When Buddha was alive, the community of disciples around him -- the sangha -- formed a close-knit group, but as soon as he died, disorder began to set in. Responding quickly, Mahakashypa, the senior disciple, organized a meeting of 500 arahants, or elders, to preserve the Dharma. 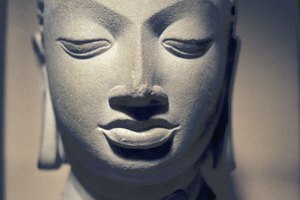 In the meeting, Ananda, Buddha's closest disciple, recited Buddha's teachings from memory. These are the Buddhist Suttas. Meanwhile Upali, another disciple, answered questions about the rules of conduct for monks and nuns -- the Vinaya. The monks who gathered there committed this collection of scriptures and precepts to memory and passed them on orally. This oral tradition was known as the Dhamma-Vinaya. Two more general councils ensued, and Buddhism spread throughout India and beyond under the reign of Ashoka the Great. It became particularly well established in Sri Lanka, brought there by a mission led by Ashoka's son, Mahinda. A fourth council was held in Sri Lanka in 200 B.C. to commit the Buddhist tradition to writing. Monks transcribed the entire body of teachings onto palm leaves, sewed the leaves together, and filed them in three baskets -- one for the Suttas, one for the Vinaya and one for more complex -- and probably later -- teachings, the Abhidhamma. The texts were transcribed in Pali, the language of the nobility at that time, and have become known as the Pali Canon. They have another name derived from the Pali word for "basket," which is "pitaka." Because the teachings were filed in three baskets, they are known as the Tipitaka, "ti" being the Pali word for "three." They are the central scriptures in Theravada. The Kangyur Canon of Tibetan Buddhism and the Mahayana Canon contain much of the same material, but they contain additional material not found in the Pali Canon. Buddhists generally recognize the Sutta Pitaka as the oldest and most authoritative record of Buddha's teachings, but not all study it in detail -- it is several times longer than the Bible. 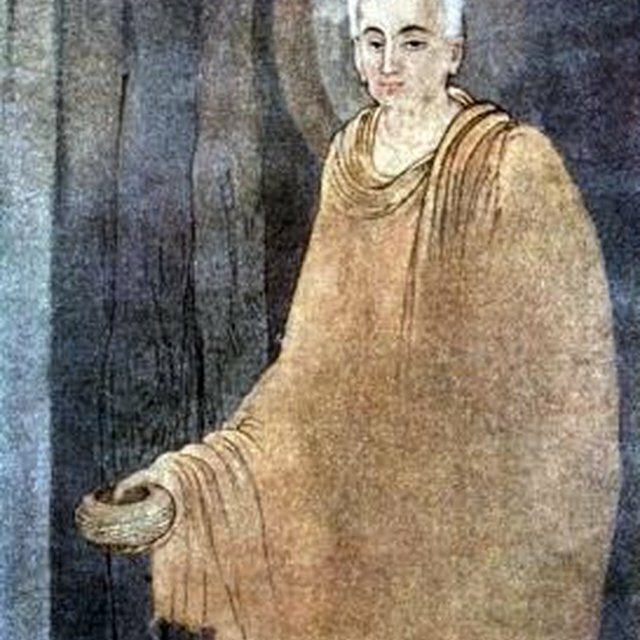 Lay Buddhists are more likely to read edited sections, such as the Dhammapada. Buddhists are moreover divided as to the importance of the Vinaya Pitaka, because streams other than Theravada include lay followers. Theravadans embrace the entire Pali Canon, including the Vinaya Pitaka, and are all either monks or nuns. Because the Abhidhamma Pitaka is so complex and was probably written later than the other two, some Buddhists consider it supplemental reading. Deziel, Chris. "What Is the Collection of Ancient Scriptures Used by Theravada Buddhists?" 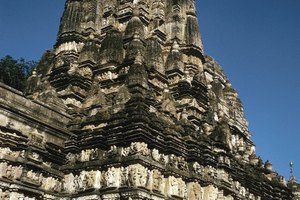 Synonym, https://classroom.synonym.com/collection-ancient-scriptures-used-theravada-buddhists-5453.html. Accessed 23 April 2019.